If this were not bad enough, and truly comes as no shock to me, read a few statistics from 1982. There is no wonder why in 2015 we are having such results. 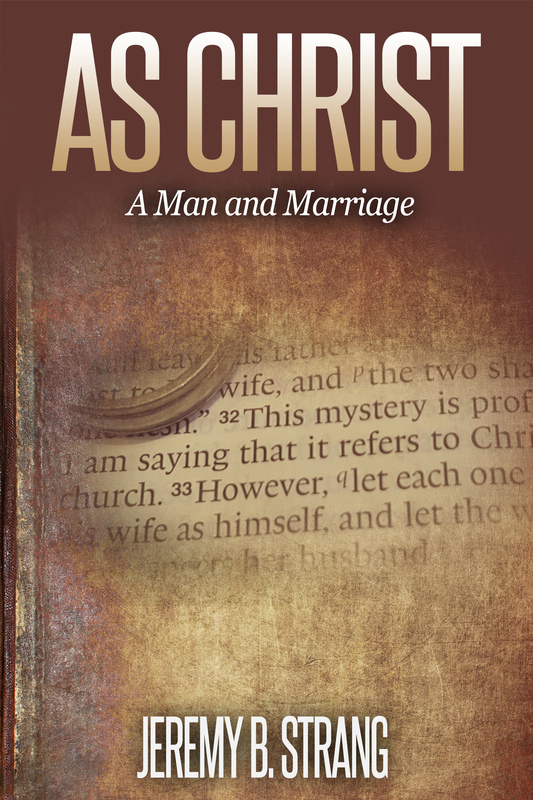 As Christ: A Man and Marriage will surely be one tool to help guide men onto the straight and narrow path in authentically following Jesus Christ, not to mention strengthening the marriage vow. For myself, the process of going back through this book, and writing new material, has been a challenge to raise the bar even higher in my own marriage and life. It is our prayer and hope that many will be affected for the purposes and glory of God. Below is a small story from a friend of mine entitled, One Man’s Journey. May it be a blessing, encouragement and admonishing to you. I was married at 22 without really having any idea of what it meant to be a Biblical husband. Unfortunately, I received very little advice on what I should expect as a husband or how I should be expected to live with my wife. My view of marriage was that I would continue living for myself and doing all the things I had always done but I would now have a beautiful woman to be with me and fulfill all my selfish needs and desires. For much of my married life, I had the attitude that it was my job to go to work and then come home and do whatever I liked. I loved watching sports, playing sports, hanging out with friends or family, as well as a number of other activities. However, I believed that it was my wife’s job to clean the house, pay the bills, raise the kids, as well as to provide for all of my selfish needs. I also blamed her for anything and everything that was wrong or didn’t go the way I wanted it to. Whether it was a mess that one of the kids made or an error in the checkbook I pretty much put the blame on her and made sure that she knew it was her fault. One of the worst parts of all for my wife wasn’t the work that I expected of her, but the years I neglected to verbally affirm my love for her. I criticized her for everything imaginable but couldn’t bring myself to ever give her a kind word. I couldn’t even tell her that she was beautiful and that I loved her. She was so starved for that kind of affirmation but I was unable to see or understand. It was only the grace of God that sustained us both. Truly the grace of God made the difference in our marriage. Although I wasn’t doing very well in marriage, the Lord had been working on me for years and bringing me to the place that I needed to be. Through different people and circumstances the Lord showed me how I much I had failed as a husband and father. I began to pray that the Lord would change me and forgive me for everything that I had been involved with. While I’m not sure exactly how long I prayed for this, the Lord in His mercy began to change me and gave me the understanding of what it meant to love my wife as Christ loved the church. At this point neither my wife nor I would say we are where we want to be in many areas of our life or marriage however we know that God is working in us to fulfill his purpose. I still struggle to give the kind word and restrain myself from being critical or angry; I know that this is sin and that I am still in need of His grace. I continue to struggle, repent and grow and above all trust in the righteousness of Christ as my very own.